(Phoenix)-The Spirit of Enterprise Center is preparing for the 12th annual Spirit of Enterprise Awards on September 25th, 2008, at the Arizona Biltmore Resort & Spa. Community Tire & Auto Service Specialists, Howard Fleischmann, Sr., owner/partner, service-oriented automotive repair provider has made it to the semi-finalist round. In its 12th year, the program celebrates the achievements of companies that demonstrate ethics, energy and excellence in entrepreneurship. 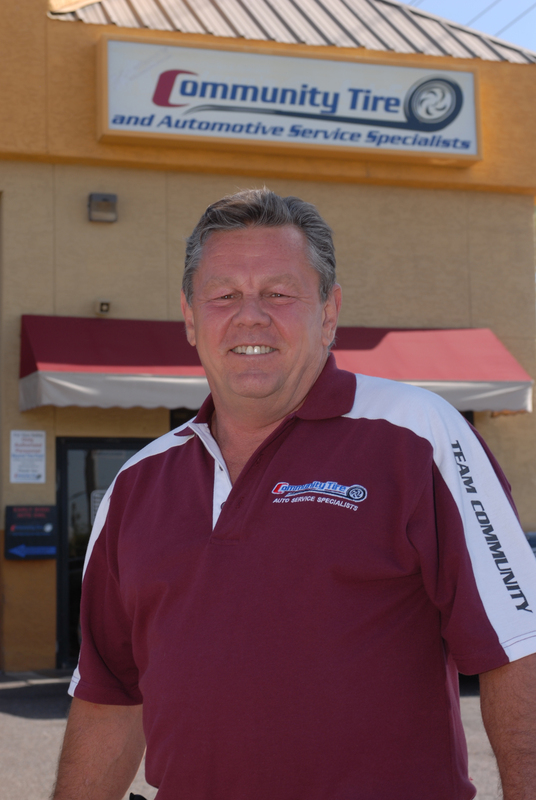 Mr. Fleischmann has made the Community Tire & Auto Services Specialists part of the community since 1991. The family owned company has grown to seven locations over 17 years in business and created a reputation of providing the highest level of honest and professional service. The Community Tire & Automotive Service Specialists continue to be involved in the community by supporting local business and encouraging all management personnel to be involved in community activities. Mr. Fleischmann believes that customer service is not just a statement for the companies he is involved in; it is the goal to exceed every client’s expectations each time they visit the shop. It is this attitude that won the Community Tire & Automotive Service Specialist the Phoenix Chamber of Commerce’s 2008 SMALL BUSINESS OF THE YEAR IMPACT AWARD. And they were also the recipient of the coveted finalist ethics award of the Arizona BBB for 2007. The awards luncheon will run from 11:30 a.m. to 1:30 p.m. at the Arizona Biltmore Resort and Spa. This entry was posted in blog and tagged car repair, community tire, COMMUNITY TIRE AND AUTO REPAIR, howard fleischmann, phoenix, tire. Bookmark the permalink. 2 Responses to "Community Tire is Semi-Finalist for Spirit of Enterprise Awards"
Congratulations to Howard and his team for winning the W.P.Carey Adversity award. This compliments his other recent awards for business ethics and community envolvement. Howard has definately become one of the Valley’s business leaders in these catagories.